There are many old castle towns in Japan, but what makes Matsue so unique is its water landscape. 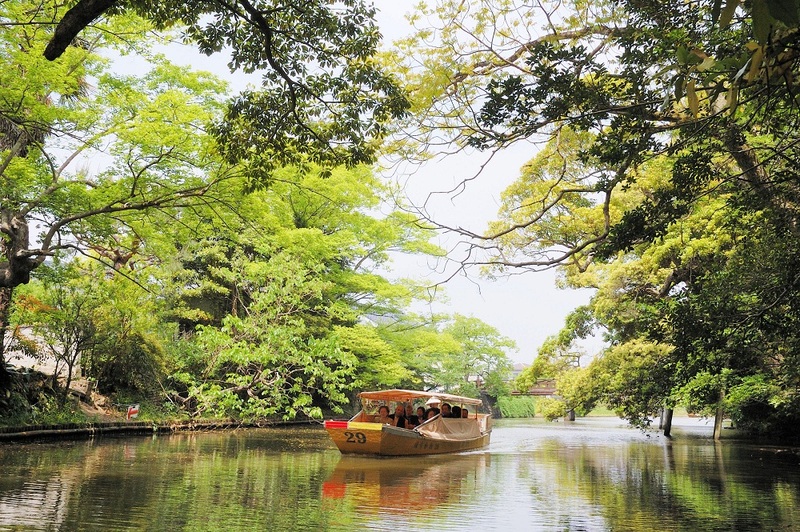 Lake Shinji and many small rivers and canals create a really beautiful scenery. Around the castle of Matsue you can still explore the moats with their numerous old bridges, every one with a special name and history. 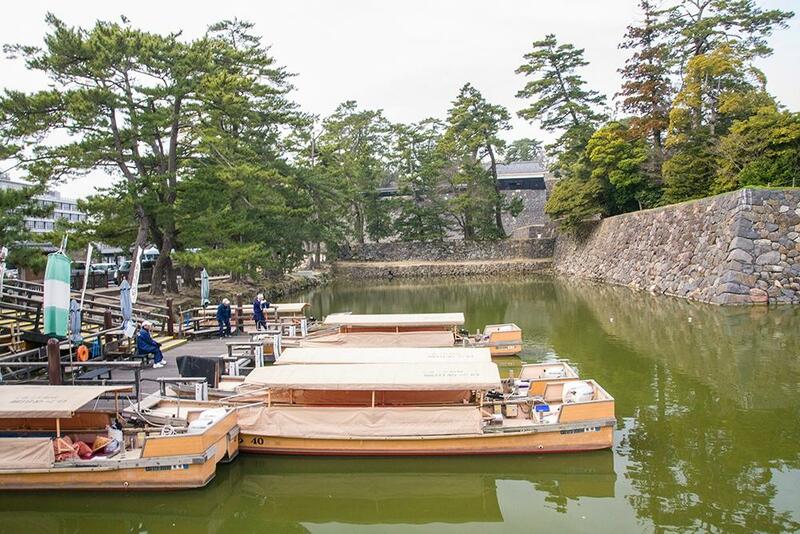 Therefore the best way to enjoy Matsue is to take the boat and join the Horikawa Sightseeing Boat Tour around the castle and through the city. There are three starting points for the boat tour. 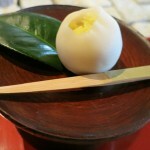 The main departure point is close to the Lafcadio Hearn Memorial Museum and the Samurai Residence (Buke Yashiki). 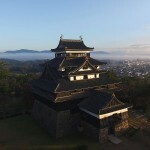 The second arrival and departure point is close to the Karakoro Art Studio and the Kyomise shopping area with many restaurants and shops, and the third point is directly at Matsue Castle. 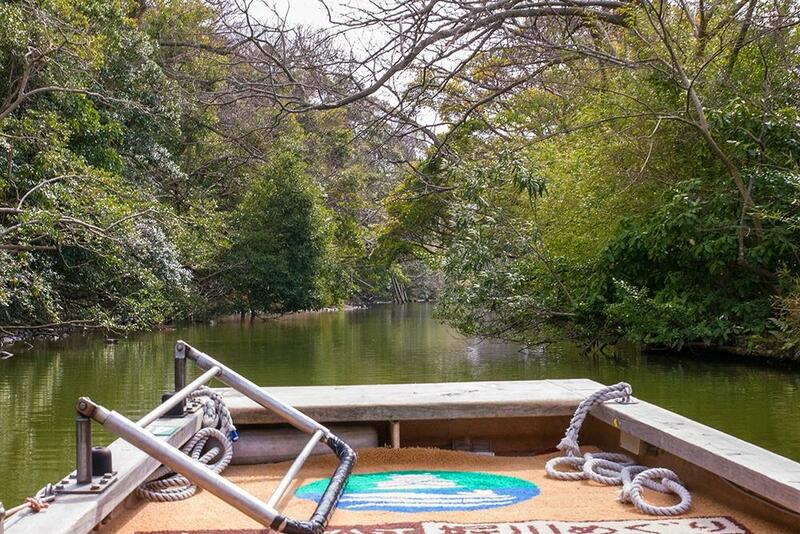 With the ticket for this boat tour it is possible to go to any location several times on the same day. So it is a really convenient way to travel around. Before the boat sets of, the guide practices with the passengers how to duck, because the boat can lower its roof with a special engine in order to make the boat fit under the low bridges. This is a really exciting part of the boat tour. Every time when a low bridge comes in sight, the guide tells you to crouch down fast, so that he can lower the roof. The boats also come with heated tables and are really cozy. You need to take off your shoes, before you hop on the boat. The tour guides are very individual and different from each other. 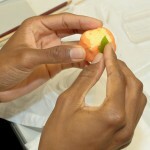 Most of them can only speak Japanese, but that is no problem because they try their best to make each tour unique. Some of them sing old songs about Matsue or play some old music and they put much effort in explaining and showing every sight around the moats. 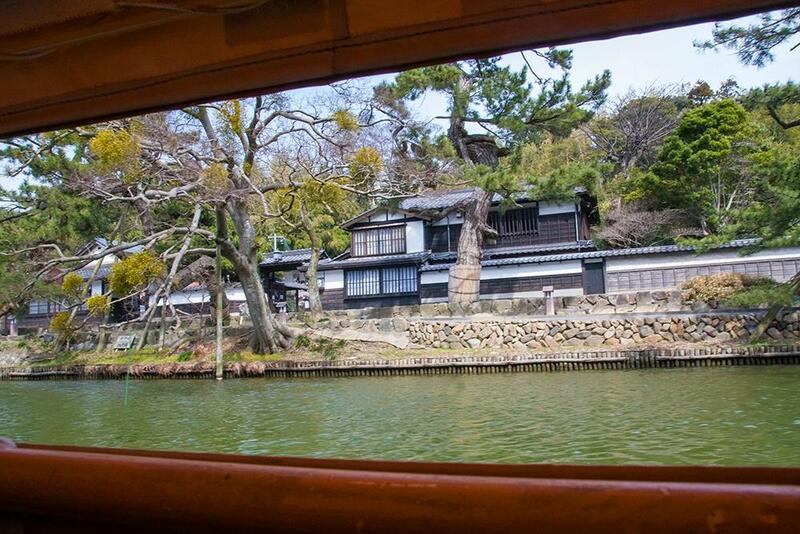 During the tour you can enjoy the view of the nicely preserved buildings along the water and you can see many wild animals like big cormorants, different kind of ducks, herons, turtles, cicada and big dragonflies, depending on the season. The animals often come really close, so it is a great opportunity to take photos. 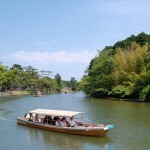 In spring the boat tour is even better, because there are numerous cherry trees along the banks and the pink blossoms complete the picture of ancient Japan. 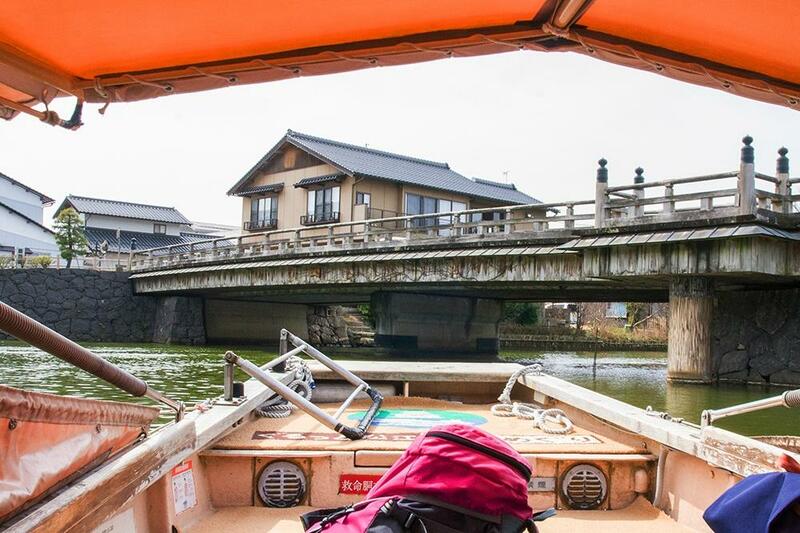 If you ever visit Matsue city and have 50 minutes to spare, this boat tour is really a must-do to explore this beautiful place. On March 2013, six international students from Waseda University in Tokyo went on a three days tour to Shimane Prefecture. Each of them chose and wrote a report about three favorite spots from the tour. =Report= A peaceful ride along the moat around the castle.